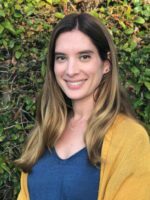 Dr. Leslie Karwoski Anderson is a clinical associate professor and training director at the UCSD Eating Disorders Center for Treatment and Research. She has a Ph.D. in clinical psychology from the University of Kansas and completed her clinical internship at Duke University Medical Center. She previously held a clinical faculty appointment at the University of Washington, was a supervisor in Marsha Linehan’s DBT training clinic, and has worked as a psychologist at the DBT Center of Seattle and the DBT Center of San Diego. Her research interests are in treatment development, evaluation, and outcomes, especially with regards to evidence-based treatments for eating disorders. She has published many journal articles and two books in this area (Clinical Handbook for Complex and Atypical Eating Disorders; Innovations in Family Therapy for Eating Disorders). She is the co-Editor in Chief for Eating Disorders: The Journal of Treatment and Prevention and has held various leadership positions in the Academy of Eating Disorders.